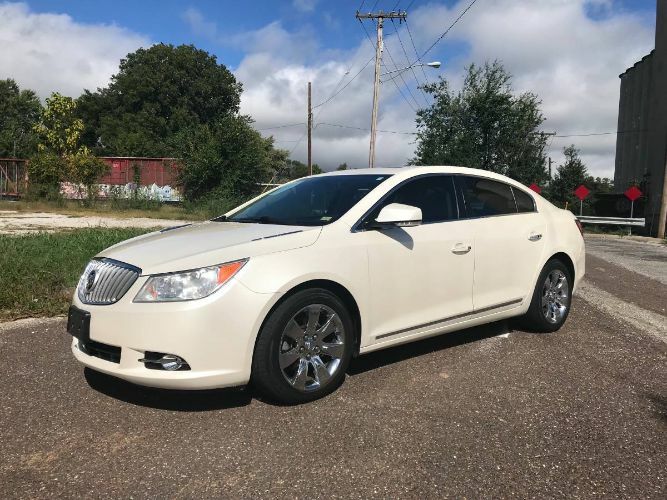 2010 Buick LaCrosse CXL. This car has every option possible including, power leather seats, power locks, power windows, heated and air conditioned seats, huge power sunroof, tinted windows, touch screen navigation head unit, steering wheel radio controls cruise control, premium sound system, wood grain dash, XM satellite radio, factory chrome rims wrapped in good tires all the way around, 3.6L v6 engine runs perfect and the automatic transmission shifts better than new! Road ready right now, seats are in great condition, factory floor mats, automatic head lights, factory fog lamps. Super nice car, drives perfect.